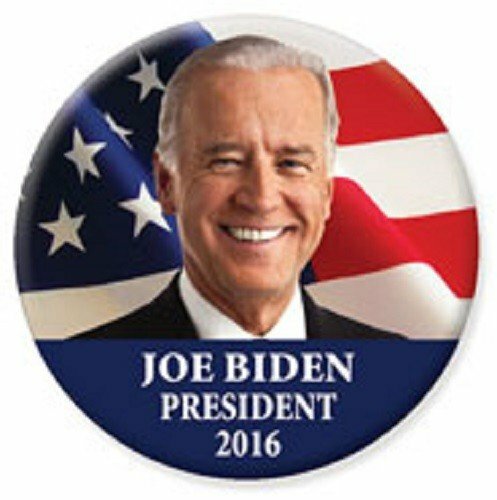 Home Tags Posts tagged with "Joe Biden"
Former Vice-President Joe Biden appeared to announce his candidacy for the 2020 presidential election, before immediately correcting himself. Joe Biden made the slip while addressing 1,000 Democrats at a dinner in his home state of Delaware. The democrat said his record was the most progressive “of anyone running for the United-” before correcting himself and saying, “anybody who would run”. Addressing party brokers and leaders in the city of Dover, Joe Biden said that it was time to restore the country’s “backbone”, but that they needed political consensus to move beyond what he called today’s “mean”, “petty” and “vicious” political landscape. “I’m told I get criticized by the new left,” Joe Biden said, referring to a group of popular new left-wing Democrats that includes congresswoman Alexandria Ocasio-Cortez. “Of anybody who would run,” he continued. Joe Biden, who was vice-president from 2009 to 2017, added that the 2020 election will be the most important vote in a century. Speculation that Joe Biden would announce his candidacy has reached feverish levels. If he were to run, Joe Biden would be entering an increasingly crowded race – with 15 other Democrats having already declared their bids. VP Joe Biden has been awarded the Presidential Medal of Freedom, the highest US civilian honor. 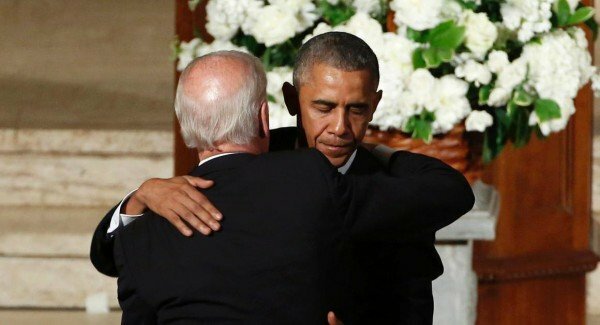 President Barack Obama praised Joe Biden for his “faith in your fellow Americans, for your love of country and your lifetime of service”. The award comes as both men prepare to leave office when Donald Trump is inaugurated on January 20. The vice-president has said he plans to stay active in Democratic Party politics. A visibly emotional Joe Biden stood by as President Obama heaped praise on what he called the “best possible choice, not just for me, but for the American people”. According to the New York Times, the medal was awarded with distinction. That additional honor has been reserved in recent administrations for just a handful of recipients, including Pope John Paul II. Barack Obama joked that the internet would have one last chance to mock the pair’s “bromance”. Joe Biden said he was “part of the journey of a remarkable man who did remarkable things”. 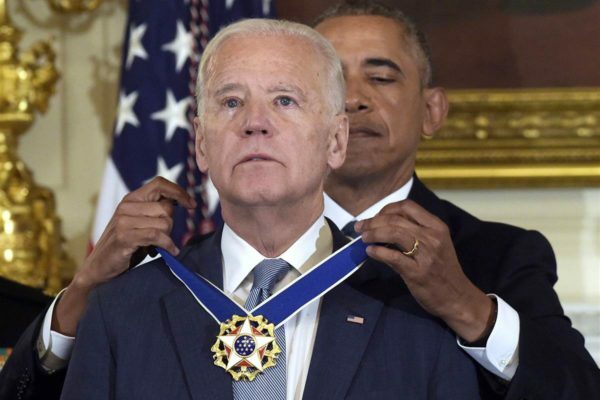 The vice-president said that he had had no idea the award was coming. “I had no inkling. I thought we were coming over to Michelle for you, Jill and Barack and I and a couple of senior staff to toast one another and say what an incredible journey it’s been. “Mr. President, you got right the part about my leaning on Jill but I’ve also leaned on you and a lot of people in this room. Barack Obama said that Joe Biden’s career was “nowhere close to finished” both at home or abroad. 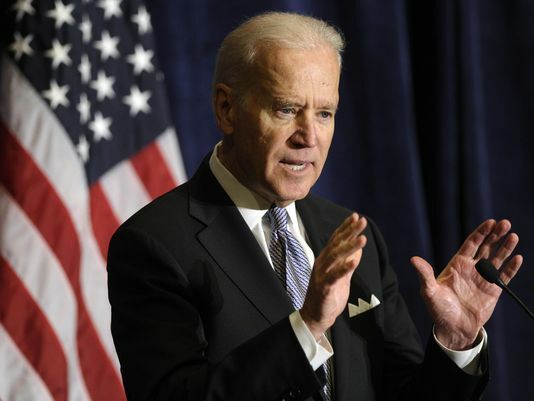 The vice-president has said he plans to work on policy issues at institutes at the University of Delaware and University of Pennsylvania, and continue his efforts tackling cancer, which claimed his son Beau in 2015. 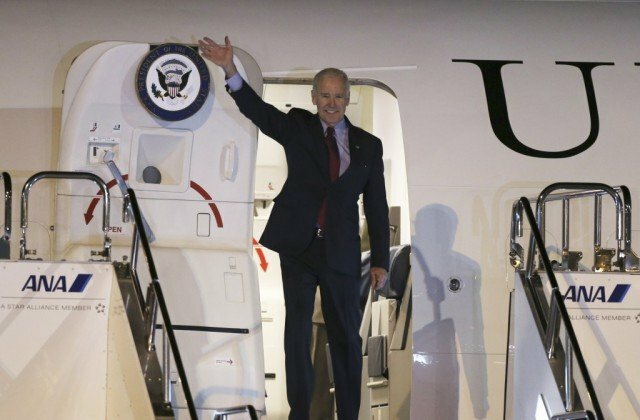 Joe Biden gave an hour-long interview with media outlets on January 12 in which he strongly criticized Donald Trump for his condemnation of the US intelligence services. “It is really very damaging in my view to our standing in the world for a president to take one of the crown jewels of our national defense and denigrate it,” he said. However, Joe Biden was full of praise for his successor, Mike Pence, saying he had sent him memos on how to handle certain situations. 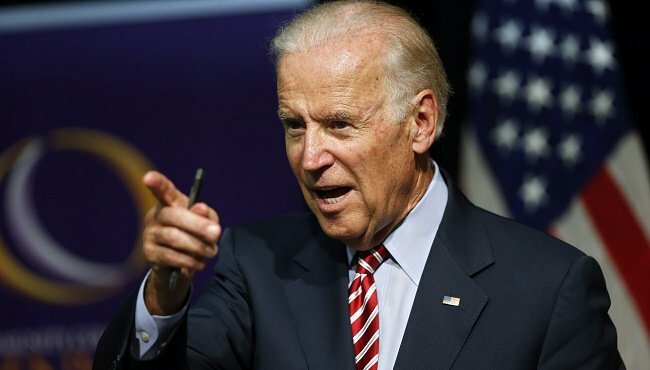 Joe Biden will not run for the Democratic nomination in the 2016 White House race. 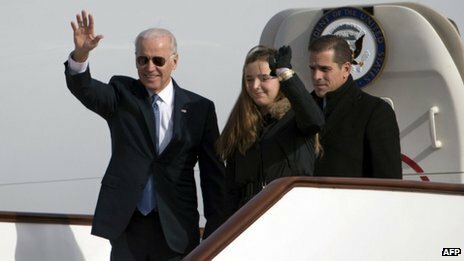 The 72-year-old vice-president said his family was ready after the death of his son, Beau Biden, earlier this year, but he had now run out of time. He also said it would be a mistake for Democrats to turn their backs on President Barack Obama’s record. Democrats seeking an alternative to frontrunner Hillary Clinton had been urging Joe Biden to run. 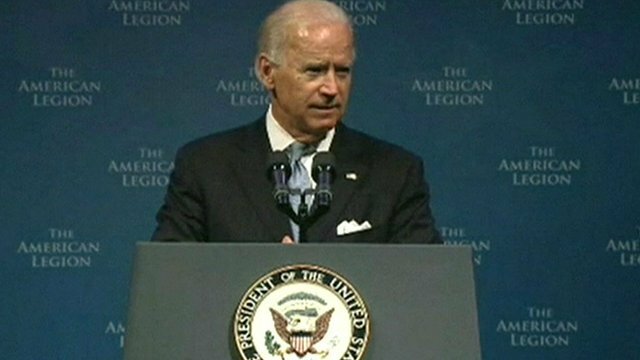 Though he will not be a candidate, Joe Biden said he “will not be silent”. Joe Biden said any candidate would be making a “tragic mistake” to reject the Obama legacy, and urged an end to political bickering. “I believe we have to end the divisive, partisan politics ripping apart this country,” he said as he stood in the Rose Garden of the White House, flanked by his wife Jill and President Barack Obama. Repeating a dig at Hillary Clinton that he has made several times this week, he said it was wrong to see Republicans as enemies. When asked at last week’s Democratic debate, Hillary Clinton said she was proud of making an enemy out of Republicans. In explaining his decision not to join the race, after three months pondering it, Joe Biden said his family had “reached a point” where they felt they could cope with his third presidential run, but time was now against him. Beau Biden died from brain cancer in May, another family tragedy for the former Delaware senator after the deaths of his baby daughter and first wife in 1972. Joe Biden then rose through the Senate ranks and ran for president in 1988 and 2008. Bernie Sanders also tweeted that he supported Joe Biden’s plans to make college free, fight economic inequality and close tax loopholes. Democratic candidate Martin O’ Malley tweeted that he respected Joe Biden’s decision and that he is “one of the most decent, compassionate public servants our nation has produced”. President Barack Obama has delivered an emotional eulogy at the funeral of Beau Biden, the son of Vice-President Joe Biden. Former Delaware Attorney-General Beau Biden died on May 30 from brain cancer at the age of 46. Beau Biden was seen as a rising star of US politics but suffered from health problems in recent years. He had intended to run for Delaware state governor in 2016. About 1,000 people – including Bill and Hillary Clinton and numerous other top politicians – attended the funeral at a Roman Catholic church in Wilmington, the largest city in the state of Delaware. Joe Biden led a procession into the church with his family at the beginning of the service. Mourners heard Barack Obama describing Beau Biden as a public servant who learned through early tragedy what mattered most and as a result decided upon living “a life of meaning” that would inspire those around him. “He was a scion of an incredible family, who brushed away the possibility of privilege for the harder, better reward of earning his own way,” the president said. Barack Obama described Beau Biden as a son, a father, a soldier and a politician who refused to take short cuts in his determination to serve his country and others. He said that a “cruel twist of fate” killed Beau Biden’s mother and infant sister in a car crash four decades ago and left Beau – three years old at the time – and his younger brother Hunter in hospital. Coldplay singer Chris Martin was a soloist at the service – he volunteered to perform after hearing that Beau Biden liked the band. Beau Biden was diagnosed with brain cancer in August 2013 and underwent treatment that was initially successful. However, the cancer recurred earlier this year. The US has expanded visa restrictions on unnamed Venezuelan officials it accuses of human rights violations and corruption. Venezuela’s President Nicolas Maduro said the measures were an attempt to violate Venezuelan sovereignty. They build on sanctions imposed last year on officials alleged to have violated the rights of protesters. The list of officials banned from entering the US has been extended, and now includes family members. “We are sending a clear message that human rights abusers, those who profit from public corruption, and their families are not welcome in the United States,” said US state department spokeswoman Jen Psaki. Nicolas Maduro reacted angrily and said he would write a letter to President Barack Obama. “We can’t let an empire that has been eyeing all of us pretend or think it has the right to sanction the country of [Simon] Bolivar,” Nicolas Maduro said, making reference to the Venezuela-born hero of Latin American liberation. The sanctions imposed in December were aimed at officials accused over their role in suppressing anti-government protests that shook Venezuela in the first six months of 2014. 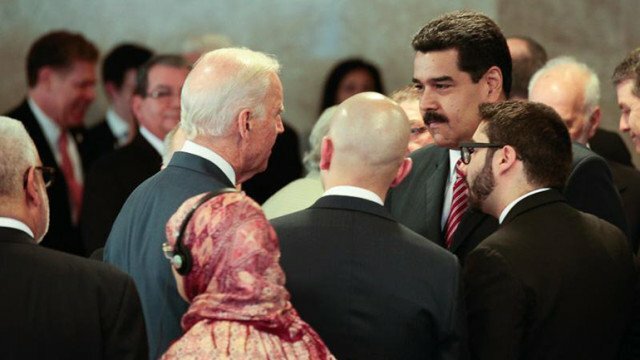 The new visa restrictions were announced a day after Nicolas Maduro accused Vice-President Joe Biden of plotting a coup against his Socialist government during an energy summit of Caribbean leaders in Washington. Joe Biden’s office called the allegation “baseless and patently false”. “President Maduro’s accusations are clearly part of an effort to distract from the concerning situation in Venezuela, which includes repeated violations of freedom of speech, assembly, and due process,” read a statement. Joe Biden and Nicolas Maduro had shaken hands in Brazil during Brazilian President Dilma Rousseff’s inauguration ceremony on January 1. 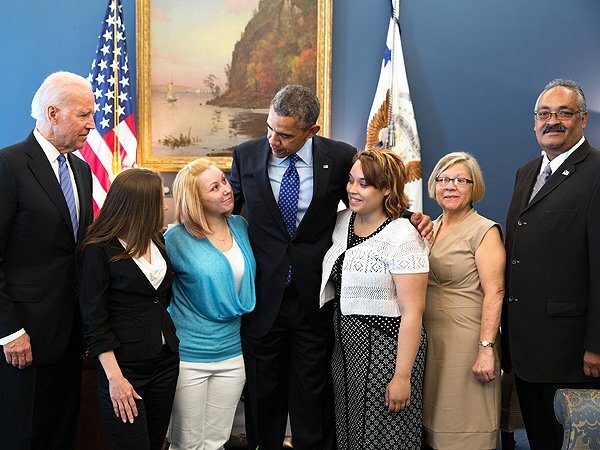 “Vice-President Biden: Look me in the eyes. I saw you in Brazil, I gave you my hand,” said Nicolas Maduro in a televised address on February 1. 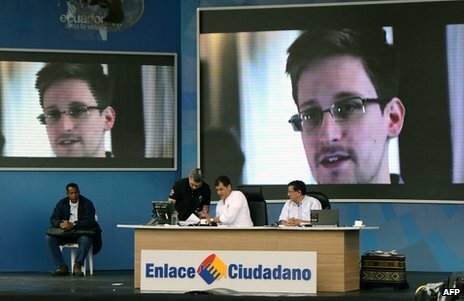 “You, who said this is a new era for relations in Latin America, were going to conspire against Venezuela,” he added. Relations between the US and Venezuela have been tense for many years. They last had ambassadors in each other’s capitals in 2010. According to Secret Service officials, shots were fired near Vice-President Joe Biden’s house in the state of Delaware, but he was away at the time. The shots were fired on January 17 from a public road in Greenville, outside a security perimeter, Robert Hoback said. The road is several hundred feet from the house, and officials were searching to see if the shots had hit anything. The incident, which happened at about 20:25 on Saturday, is under investigation. The Secret Service said the vehicle from which the shots were fired “drove by the vice president’s residence at a high rate of speed”. “The shots were heard by Secret Service personnel posted at the residence, and a vehicle was observed by an agent leaving the scene at a high rate of speed,” it said. Joe Biden’s office says the vice-president and his wife, Jill, were later briefed on the incident. One man was arrested later nearby but it is not known if he was directly involved in the shooting. The Bidens spend many weekends at the Delaware house, the Associated Press news agency reports. The incident comes four months after an intruder armed with a knife managed to dodge guards and enter the White House. 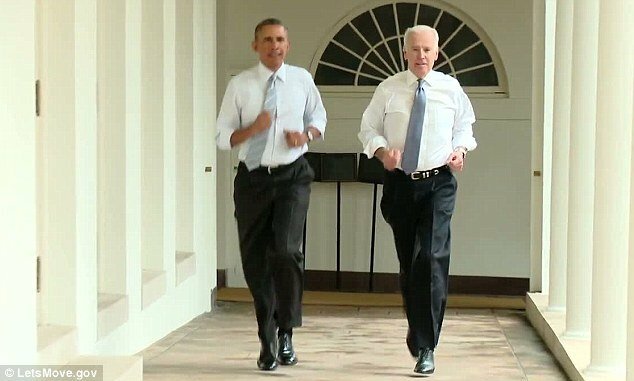 President Barack Obama and Vice-President Joe Biden are taking part in First Lady Michelle Obama’s health campaign Let’s Move by making a film while jogging around the White House. Michelle Obama’s initiative intends to fight childhood obesity by encouraging healthy eating and an active lifestyle. The first lady has unveiled new changes to US nutrition labels, the most sweeping overhaul in more than two decades. The White House has potsponed a meeting with Democrats and Republicans congressional leaders as lawmakers continue talks on raising the nation’s debt limit. The talks were to take place between President Barack Obama, Vice-President Joe Biden and leaders of the Senate and House of Representatives. The US government shutdown, also a result of the political deadlock, has now entered its third week. Officials warn of economic calamity should the US default on its debt. In a statement, the White House said Monday afternoon’s meeting had been postponed to “allow leaders in the Senate time to continue making important progress towards a solution that raises the debt limit and reopens the government”. It is unclear when it will be rescheduled. President Barack Obama sounded his own warning as he toured a soup kitchen for the poor in Washington D.C. earlier on Monday. Barack Obama said he saw “some progress” in the talks, ahead of Thursday’s deadline for the US to raise its $16.7 trillion borrowing limit or risk default on its debt. Expected to attend the White House meeting were Senate Democratic Majority Leader Harry Reid, Senate Republican Leader Mitch McConnell, Republican House Speaker John Boehner and House Democratic Minority Leader Nancy Pelosi. On Monday, Harry Reid told the Senate he was “very optimistic we will reach an agreement”. Mr McConnell also expressed optimism, following what he described as “a couple of very useful discussions” with the Democratic leader. Republican Senator Susan Collins acknowledged the Senate did not have a finished agreement, but said senators were “making very good progress”. A separate bipartisan group led by Susan Collins also met for several hours earlier in the day to discuss possible solutions, the Associated Press news agency reported. Congressional Democrats are now said to be using the looming debt ceiling deadline as leverage to push back against previously enacted cuts to the US government budget. A complete list of the gifts received by US officials from foreign leaders last year, as well as a couple dozen from previous years, were disclosed by the State Department on Thursday. The lavish gifts include diamond-and-ruby-encrusted jewels worth $500,000 received by Hillary Clinton from the Saudi Arabian king. 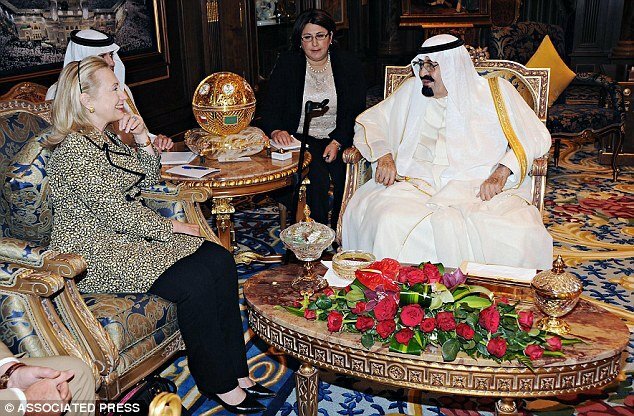 Hillary Clinton’s gifts from King Abdullah bin Abdul Aziz – which included a necklace, bracelet, earrings and a ring – were by far the most expensive items among the hundreds of gifts given to U.S. officials in 2012. The gift-giving continues a long-held tradition of international diplomacy, in which the wealthy and powerful show their appreciation for one another by exchanging artwork, jewelry, electronics and other presents. Most of the items are required to be donated to the national archives, though a few may be kept depending on their value. The Hill newspaper first reported on the gifts. In addition to her jewels from Saudi Arabia, Hillary Clinton also received wine from Algeria; a two-piece bronze sculpture of a red chili pepper from Singapore; a cuff bracelet, necklace and earrings from Kazakhstan; caviar and a wool carpet from Azerbaijan; Cognac from Russia; gold, sapphire and diamond jewelry worth $58,000 from Brunei; and a sword from Yemen. Among President Obama’s gifts were: Christmas mugs, coffee, and steak knives from Brunei; a basketball autographed by Chinese President Xi Jinping; a ‘silver figure representing [an] oversized coffee bean’ from Colombia; a leather wallet and tote bag from France; a porcelain vase decorated with images of the White House and Kremlin from Russia; a chest of liquor and a Coca-Cola bottle decorated with beads from Mexico; and a 41-inch saber from Mongolia. Gifts were also given to Michelle Obama, Vice President Joe Biden and his wife, former CIA Chief David Petraeus and Chief Justice John Roberts, among others. Joe Biden’s gifts included a silver knife and chopsticks from Mongolia, a leather cigar box from Mexico, and a female bare-breasted bust from Liberia. In every case, officials accepted the items because “non-acceptance would cause embarrassment to donor and US”, according to a document provided by the State Department. Vice-President Joe Biden has said the US has “no doubt” that the Syrian government has used chemical weapons and that it must be held accountable. 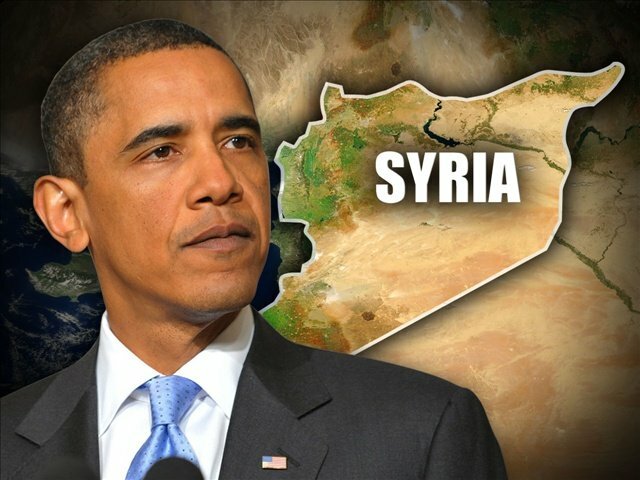 The US has said its military is ready to launch strikes if President Barack Obama order an attack, and allies say they too are ready to act. The Syrian government has strongly denied claims it used chemical weapons. UN weapons inspectors are set to return to the site of last week’s suspected attack near Damascus on Wednesday. Their evidence-gathering visit was delayed by a day after they were fired on. The US says it will release its own intelligence report into the incident at Ghouta, a suburb of the capital, in the coming days. More than 300 people reportedly died there. President Barack Obama is said to have made at least 88 calls to foreign leaders since Wednesday’s suspected attack. 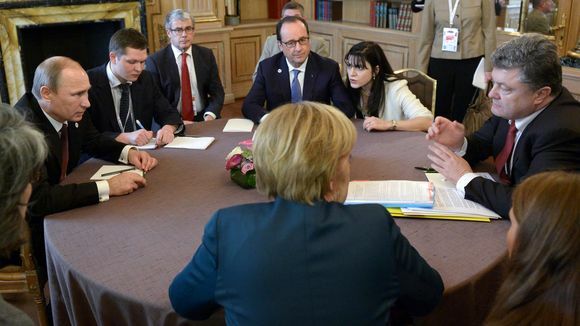 British PM David Cameron said the world could “not stand idly by”, and French President Francois Hollande said France was “ready to punish” whoever was behind the attack. On Wednesday, Russian Foreign Minister Sergei Lavrov warned that “attempts at a military solution will lead only to the further destabilization” in Syria and the region. Sergei Lavrov emphasised the need for a political solution in a phone call to the joint UN-Arab League envoy to Syria, Lakhdar Brahimi, the foreign ministry in Moscow said. Russia, China and Iran have previously warned against launching an attack on the war-ravaged country, where more than 100,000 people are thought to have died in two years of fighting. Stocks have fallen on global markets and oil prices have shot up amid growing concern about an impending attack. The US has not yet released its intelligence report into the alleged chemical attack, but US officials now say they are certain the Syrian government was behind the incident. Joe Biden is the most senior member of the Obama administration to blame the Syrian government for the attack. In a speech to a veterans’ group in Houston, he said there was “no doubt who was responsible for this heinous use of chemical weapons in Syria: the Syrian regime”. He said that “those who use chemical weapons against defenceless men, women, and children… must be held accountable”. White House spokesman Jay Carney earlier said it would be “fanciful” to think anyone else could be responsible – saying the Syrian regime remained in control of the country’s chemical arsenal and used the type of rocket that carried the payload used last Wednesday. But he insisted there were no plans for “regime change”. Any military campaign is likely to be limited in scope, with missile strikes targeting military sites and no ground troops. 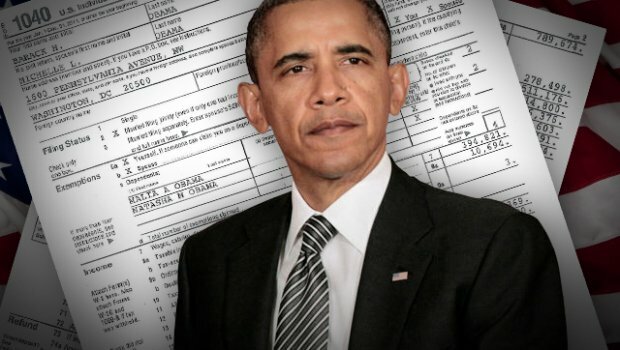 According to his newly-released tax returns documents, President Barack Obama made $608,611 in 2012, down more than 20% from 2011. The decline in Barack Obama’s pay comes as sales of his books slow. Barack Obama’s presidential salary is $400,000. The President and First Lady Michelle Obama paid an effective tax rate of 18.4% and donated $150,034 to 33 different charities. 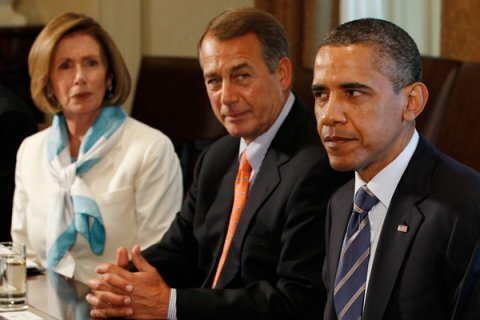 Barack Obama’s tax rate will rise next year under a recent agreement with Congressional Republicans. “Under the president’s own tax proposals, including limitations on the value of tax preferences for high-income households, he would pay more in taxes while ensuring we cut taxes for the middle class and those trying to get in it,” said White House press secretary Jay Carney in a statement accompanying the release of the president’s and vice-president’s tax returns. President Barack Obama also paid $29,450 of state income tax in Illinois, the White House said. About two-thirds of the Obamas’ charitable contributions were given to the Fisher House Foundation, an organization that provides assistance to military servicemen, veterans and their families. Barack Obama’s earnings have declined significantly from 2009. In 2009, Barack Obama’s first year in office, he earned $5.5 million, mostly from sales of his books Dreams from My Father and The Audacity of Hope. Vice-President Joe Biden and his wife Jill reported $385,072 of income and paid $87,851 of federal tax. 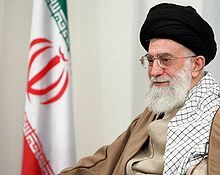 Iran’s supreme leader Ayatollah Ali Khamenei has dismissed a US offer of one-to-one talks on Tehran’s nuclear programme. Ayatollah Ali Khamenei said in a speech posted online that the US was proposing talks while “pointing a gun at Iran”. On Saturday, US Vice-President Joe Biden suggested direct talks, separate to the wider international discussions due to take place later this month. But the US widened sanctions on Iran on Wednesday, aiming to tighten a squeeze on Tehran’s ability to spend oil cash. Barack Obama is to be publicly sworn in as US president for second time. Hundreds of thousands are expected in Washington for the event, which will feature music from Beyonce, parades, black tie balls and tight security. They will crowd on to the Washington Mall to see the president take the oath of office on the steps of the Capitol. Barack Obama was officially inaugurated in a small White House ceremony on Sunday, as the US Constitution requires the president be sworn in by January 20. In the famous Blue Room, Barack Obama rested his hand on a Bible used for many years by his wife’s family and vowed “to preserve, protect and defend the Constitution of the United States”. He will repeat those words at Monday’s public inauguration, in which he is also expected to use part of his address to outline his plans for the next four years. Speaking at a reception for supporters late on Sunday, Barack Obama suggested he would dwell on the “common good” and the “goodness, the resilience, neighborliness, the patriotism” of Americans. “What we are celebrating is not the election or the swearing-in of the president,” Barack Obama said. By the end of Monday, Barack Obama will have taken the oath four times – as many as President Franklin D Roosevelt. Four years ago, Barack Obama had to repeat the oath privately to make sure all constitutional obligations were met after he tripped over the words. Following Monday’s ceremony outside Congress, Barack Obama will have the traditional lunch with US lawmakers in the building’s Statuary Hall. The president is then expected to follow the recent tradition of walking through the crowds for at least some of the way in the procession back to the White House. Vice-President Joe Biden, who was also sworn in on Sunday, will repeat his oath publicly as well. Thousands of workers and volunteers prepared Monday’s celebrations. White tents, trailers and generators are set up along the Washington Mall parade route, while nearby buildings have been adorned with red, white and blue bunting. In 2009, nearly two million people crammed into Washington to witness President Barack Obama’s first inauguration. 14:36 EST: Inaugural parade on Pennsylvania Avenue, ending at the White House. Barack Obama has officially been sworn in today for his second term as US president in a small ceremony at the White House. 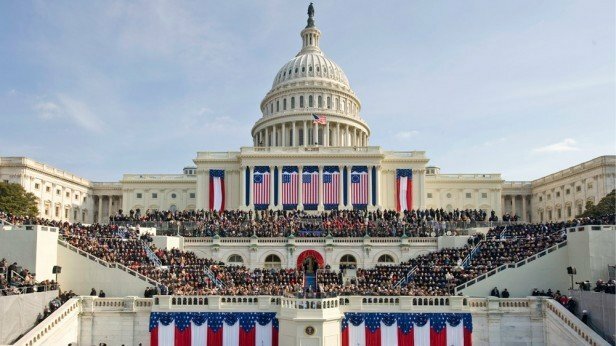 Although the US Constitution requires the oath of office to be taken by noon on January 20, that falls on a Sunday so the public inauguration will take place on Monday. Barack Obama took his official oath in the White House’s Blue Room. The public ceremony with pomp and circumstance will follow on Monday. 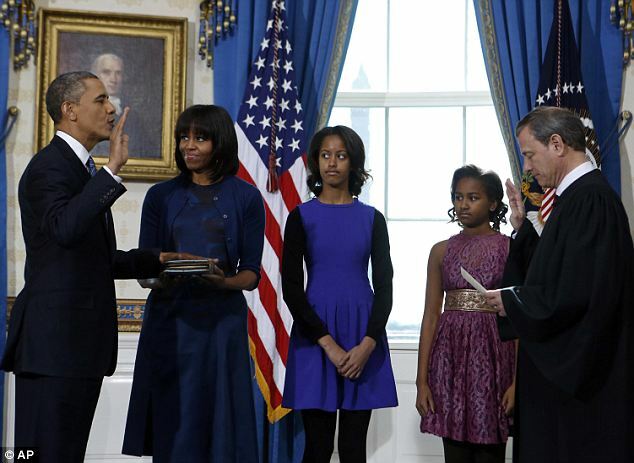 Supreme Court Chief Justice John Roberts administered the oath of office to Barack Obama, witnessed by First Lady Michelle Obama and their daughters Sasha and Malia as well as some family members and reporters. Resting his hand on a bible used for many years by his wife’s family, Barack Obama vowed “to preserve, protect and defend the Constitution of the United States”. He will repeat those words during Monday’s public inauguration, in which he will set out his plans for the next four years. Vice-President Joe Biden was sworn in for a second term at a small ceremony at his official residence earlier on Sunday morning. Joe Biden, 70, will also repeat his oath publicly on Monday. For his part, Barack Obama rolled up his sleeves and donned gloves to spend Saturday sprucing up a school with other volunteers, as part of a National Day of Service kicking off the inauguration ceremonies – similar to the way he spent the day before his first presidential inauguration in 2009. He urged volunteers to honor the memory of civil rights leader Martin Luther King, whose birthday, a national holiday, falls on Monday. This year is the 50th anniversary of King’s march on Washington. President Barack Obama’s second term work will be more of a challenge than Saturday’s school work, trying to change America’s gun laws, reforming immigration and dealing with the country’s debt. Four years on, the mood is unlikely to match that excitement. But the second inauguration of America’s first black president is a moment many will not want to miss. Hundreds of thousands of people are expected in Washington for that event – a smaller number than the 1.8 million who flocked for the swearing-in in 2009. They will crowd onto the Mall leading to Congress wrapped up against the cold, to see their president take the oath of office on the steps of the flag-draped Capitol and listen to his speech. 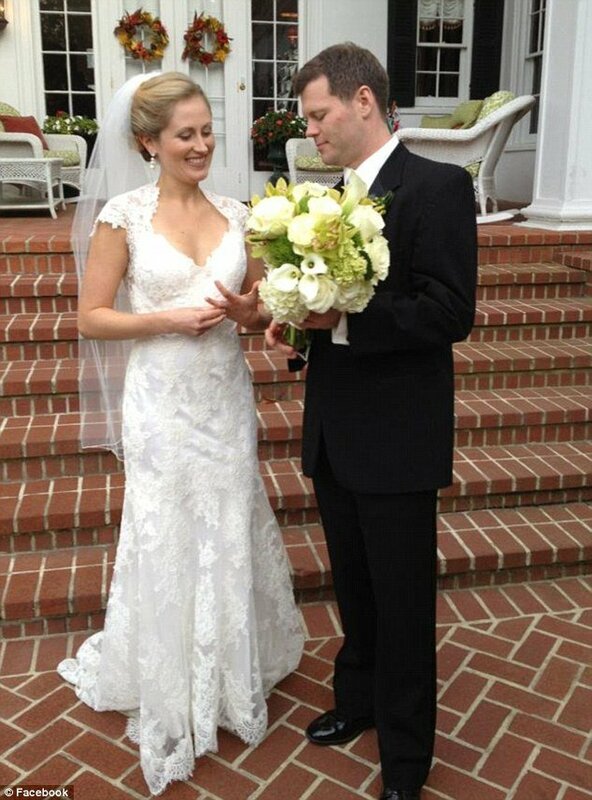 The day will include music from Beyonce and Fun, parades, black tie balls and very tight security. 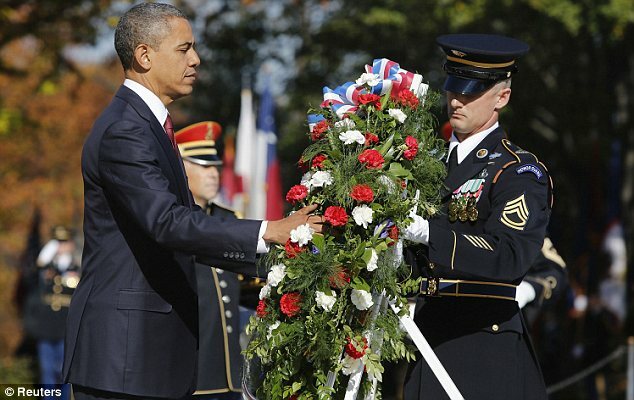 President Barack Obama laid a wreath of flowers at Arlington National Cemetery on Sunday in a traditional gesture as Americans marked three days of Veterans Day commemorations. Barack Obama was joined by the First Lady, as well as Vice President Joe Biden and his wife Jill at the Tomb of the Unknowns. The President said the wreath-laying is a gesture to “remember every service member who has ever worn our nation’s uniform”. He said in a speech at the cemetery’s Memorial Amphitheater that America will never forget the sacrifice made by its veterans and their families. Barack Obama also says that “no ceremony or parade, no hug or handshake is enough to truly honor that service”. He says the country must commit every day “to serving you as well as you’ve served us”. Earlier, the Obamas and Bidens held a breakfast with veterans at the White House. This year, Veterans Day falls on a Sunday, and the federal observance is on Monday. It’s the first such day honoring the men and women who served in uniform since the last U.S. troops left Iraq in December 2011. It’s also a chance to thank those who stormed the beaches during World War II – a population that is rapidly shrinking with most of those former troops now in their 80s and 90s. At the National Cemetery in Bourne, Massachusetts, on Cape Cod, about 1,000 people including Cub Scouts and Gold Star Mothers gathered on a crisp fall day for a short ceremony.